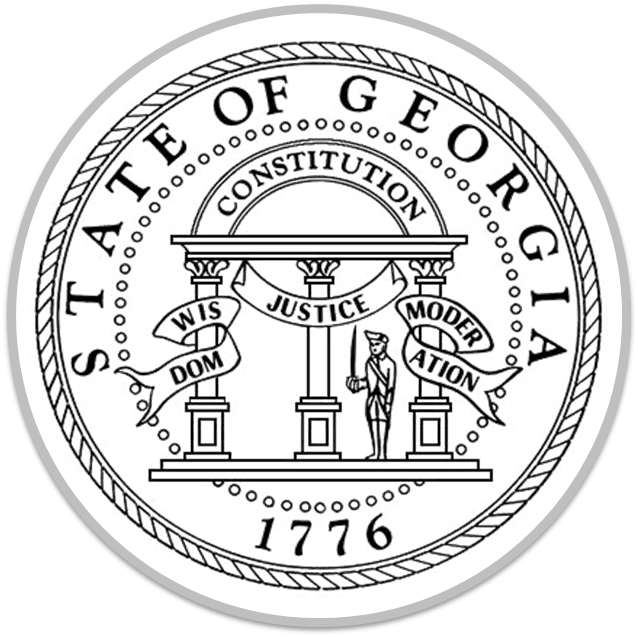 Through appointment by Governor Deal, I serve as the Chair of Georgia’s Commission for Hearing Impaired and Deaf Persons. In that capacity, I wanted to bring your attention the goal of the Commission to ensure that Georgia’s band and orchestra students are provided with appropriate hearing protection during rehearsals and performances. Please also see also this message from Commission member and Rolling Stones musician Chuck Leavell regarding the health imperative of hearing protection for musicians. As mentioned in the studies and OSHA standards, concert and marching band performances can reach 130 dBHTL, a sound level that can cause damage in as little as one second. While no standards are currently in place for school bands, NIOSH recommends workers only be exposed to similar average sound levels for 7 to 15 minutes without hearing protection, as previously referenced in Dr. Hughart’s research. Use of hearing protection can help to counteract these harmful decibel levels by lowering the level by as much as 32 dB, allowing for safer, and longer practices and performances. Children and young adults typically will not complain about ringing in the ears, muffled speech, or missing parts of words. Further, hearing loss is gradual, and dangerous shifts in high frequency hearing loss may not be recognized for years. Schools that have band and symphony programs are responsible for notifying parents that their children should wear ear protection during practices and outside concerts. There is evidence that student musicians have a higher risk of hearing loss than their nonmusical counter parts, and a musician’s risk of hearing loss increases with the size of the band. There are 38 million people in the United States with documented cases of hearing loss. The primary cause of hearing loss has been determined to be noise induced. A noise induced hearing loss occurs when an individual is overexposed to sounds that are too loud for the hearing system over a period time or from a single activity such as an explosion. Temporary threshold shift is the result of exposure to loud sounds that causes an individual to have a perceived drop in their hearing ability but resolves after a period of quiet environment. Repeated overexposure to noise eventually changes the auditory system from a temporary threshold shift to a permanent threshold shift and hearing loss. In 2009, Kujawa and Liberman conducted a study of noise effects in animal models. They found that temporary threshold shifts in the basal region of the inner ear did not recover, and permanent damage occurred. The diagnostic tools used to evaluate hearing loss in humans are not sensitive enough to detect cochlear damage. Kujawa and Liberman suggest that ringing in the ears, over sensitivity to sounds, and difficulty in hearing in the presence of background noise are signs of damage to the inner hair cells of the ear. The Occupational Safety and Health Administration (OSHA) has created standards for acceptable noise exposure in the workplace. OSHA standards require any individual exposed to noise 85dBA or greater over an 8-hour time weighted average exposure to wear ear protection devices such as earplugs or earmuffs. The National Institute for Occupational Health and Safety (NIOSH) is a center in the Centers for Disease Control and Prevention that conducts occupational safety and health research. NIOSH also provides information, education, training and recommendations for worker health and safety. NIOSH is not a regulatory or enforcement agency. NIOSH also has recommended that ear protection should be used if noise levels are 85dBA or greater. This brings us to the discussion of prevention of hearing loss in children and teenagers. We live in a noisy world. Technology has provided us with high quality speakers, iPhones, IPODs, MP3 players and other devices that can induce hearing loss if not used properly. Children and teenagers often turn the volume on devices up to dangerous levels. There have been several articles published regarding hearing loss due to misuse of these types of devices. A significant issue in our educational institutions is the need to provide hearing protection devices to students who participate in school bands and orchestras. Marching band instruments can generate sound pressure levels ranging from 92 to 122dBA, depending on the instrument. For example, an alto saxophone generates between 110-113dBA. A bass drum generates 100-122dBA. Research indicates that orchestral dB peaks can reach in excess of 120 dB, which is immediately harmful to the system. The main culprits are the brass section, the percussion, and the violins. Basically, any students playing in bands and/or orchestras should be fit with musicians’ earplugs that attenuate sound equally across all frequencies to retain the sound quality and dynamics while also preserving hearing. Although there is no noise standard for students in school bands and orchestras NIOSH recommends that workers exposed to similar noise levels limit exposure to brief periods, ranging from 7 seconds to 15 minutes depending on the noise level. Longer exposure periods may result in temporary threshold shifts and permanent hearing loss. Like head trauma and subsequent long-term damage to the brain, hearing loss is a silent injury that progresses with repeated exposures. Schools should provide hearing protection devices to students exposed to dangerous noise levels while participating in school activities such as musical activities. We know which noise levels cause hearing damage. It is our responsibility to protect the hearing of children and teenagers through hearing conservation programs consisting of hearing protection devices and health education. NOISE – Lifelong Harm to Children’s Hearing; K. Anderson, Ph.D.